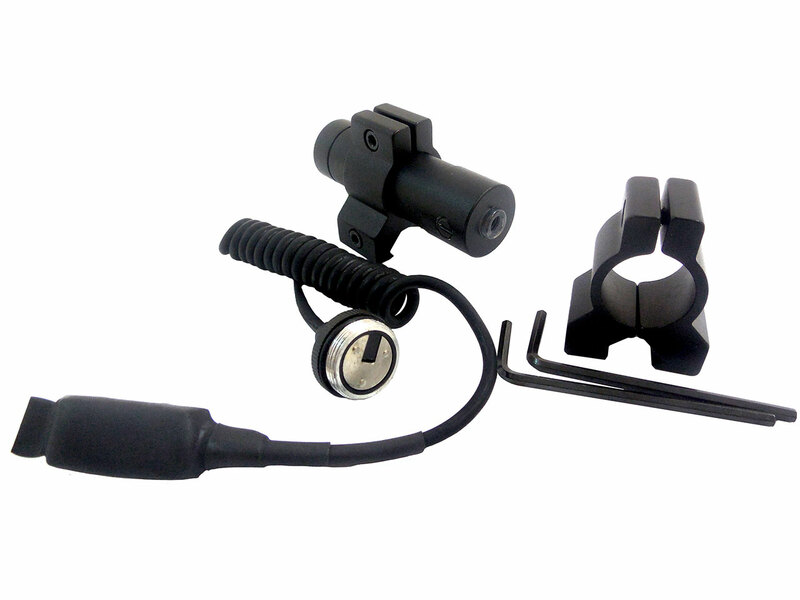 Full laser sight kit can be mounted on a 3/8″ dovetail mount, or picatinny rail. Sight is adjustable for windage and elevation. Can be used with, or without remote on off switch.